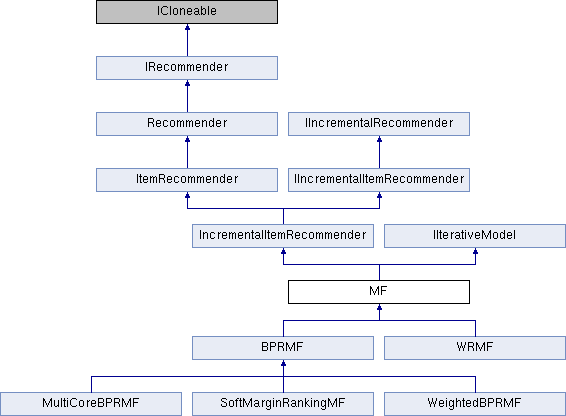 Implemented in BPRMF, WRMF, and SoftMarginRankingMF. Implemented in BPRMF, and WRMF. If the user or the item are not known to the recommender, zero is returned. To avoid this behavior for unknown entities, use CanPredict() to check before. Reimplemented in MultiCoreBPRMF, and WeightedBPRMF.